Kaspersky Security Suite CBE 11 is a rebranded edition of Kaspersky Internet Security 2011 specially released for Computer Bild magazine subscribers, free of charge. In fact, the CBE is the acronym for “Computer Bild Edition”. 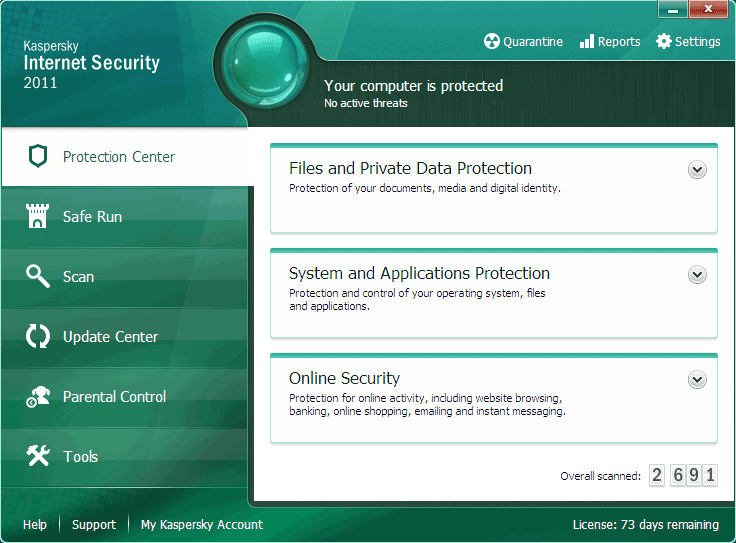 The German-only Kaspersky Security Suite CBE has been around since 2007, and the program has underwent yearly upgrade, similar to Kaspersky Internet Security (KIS) though it lacks several features such as parental control, and the update normally come a bit later than official version. Kaspersky Internet Security 2011 and Kaspersky Security Suite (KSS) CBE 11 spots a new clear and simple user interface that clear of complicated and confusing symbols and design so that the frequently used commands and functions is easy to find. It also features a desktop gadget for Windows 7 which provides quick viewing of protection status for the PC at a glance in color code – green for OK and red for in danger. Much improvements have been done to smart anti-phishing protection and Virtual Keyboard which protects digital identity, parental control, Application Control which evaluates and grants rights and access to system resources, Rescue CD and Safe Run mode which allows users to run suspicious applications and websites in a specially isolated environment. But the main area of concern is still security protection, where the Kaspersky Internet Security 2011 and Kaspersky Security Suite CBE 11 continues to improve on its real-time proactive protection against all Internet threats. A new Safe Surf feature has been included to automatically block harmful or offensive websites right before visiting. A new technology named System Watcher monitors and analyzes every system event to accurately detect any dangerous behavior. When a threat occurs, the user will be prompted to roll back any malicious program activity. Kaspersky Security Suite CBE 11 free subscription promotion lasts for 1 year, split into duration of 3 months each. Which means you have to request for new activation code every 3 months to activate the program for continuous protection. When sign up, use the following figure which shows the fields in English to enter the appropriate information. 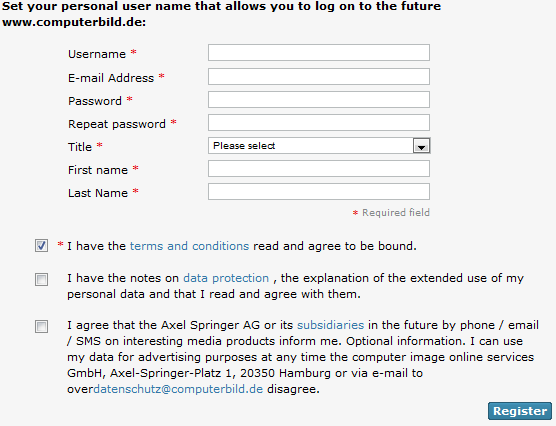 Remember to tick the check box for “Ich habe die Nutzungsbedingungen gelesen und erkläre mich damit einverstanden”, and then click on the “Registrieren” (Register) button. Check the Inbox for an email from “info@computerbild.de”, and click on the confirmation link in the email to complete the registration. Tick the check box for “Persönlichen Lizenzschlüssel anfordern oder verlängern” and click on “Lizenzschlüssel anfordern” link. 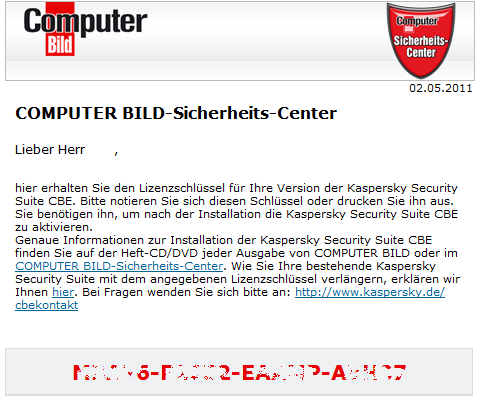 Go to your Inbox again to retrieve an email from “COMPUTER BILD-Sicherheits-Center <sicherheitscenter@computerbild.de>” with subject of “Ihr Lizenzschlüssel für Kaspersky Security Suite CBE”. Inside the email contains the license key for KSS CBE. 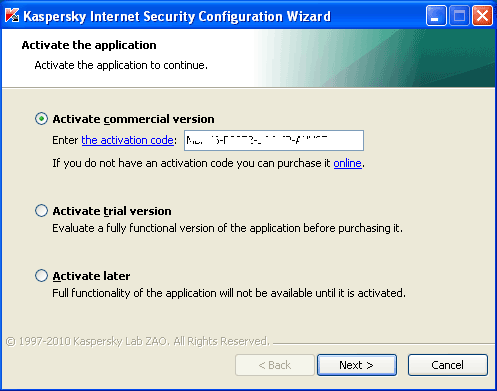 The free activation code only works with “Kaspersky Security Suite CBE 11” (from issue 11/2011) or “Kaspersky Security Suite CBE 10” (renewable until October 2012) from the magazine CD/DVD. If you’re misplace the CD/DVD, download the Kaspersky Security Suite CBE 11 setup installer: Kaspersky_CBE11.msi. 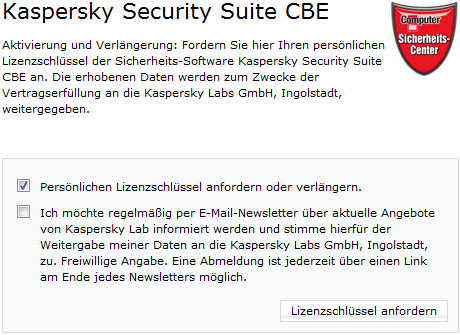 If you intend to use Kaspersky Security Suite 2011 in German, just install the KSS CBE 11, enter the free activation code to activate, and the security software will be working perfectly. However, in you intend to use the Kaspersky Security Suite 2011 in English or any other language, follow the rest of the hacking steps to change the KSS CBE 11 user interface language. Actually, the installation is not even done with KSS CBE 11 setup installer. Just download KIS 2011 setup installer in the language you want to perform the hack. 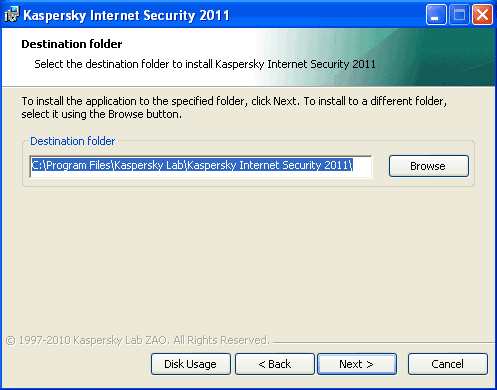 The end result – you get full version Kaspersky Internet Security 2011 with all features enabled. And the hack supports any language – just download KIS in your local language. 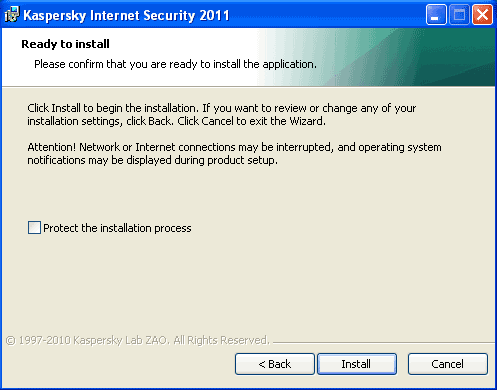 Download latest version of setup installer for Kaspersky Internet Security 2011 from http://www.kaspersky.com/internet_security_trial. 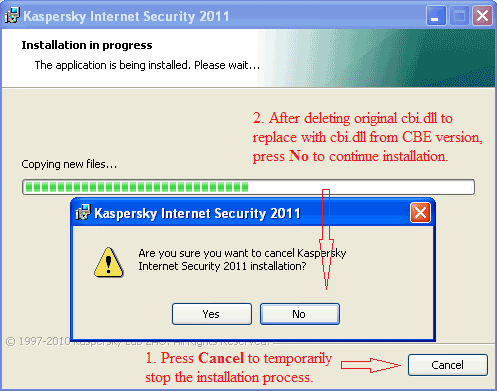 Download the cbi.dll file extracted from Kaspersky Security Suite CBE 11. You can also install the KSS CBE 11 and retrieve the cbi.dll file yourself from “\Program Files\Kaspersky Lab\Kaspersky Security Suite” folder, and then uninstall it. 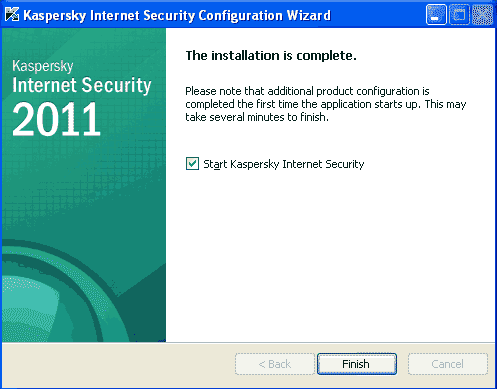 Start the installation of Kaspersky Internet Security 2011. Select and the tick the check box for Change installation settings and click Next button. Click Next button, you can untick the check box if you don’t want to join the Kaspersky Security Network. Unselect and untick the check box for Protect the installation process (mandatory for the hack to work), and then click Install button. Let the installation of KIS 2011 initializing and running for a while until the installation wizard shows Copying new files (in the second round of progress as the progress bar should already completed for one round). When the progress bar runs until about the middle stage, click on Cancel button to temporarily stop the installation process. 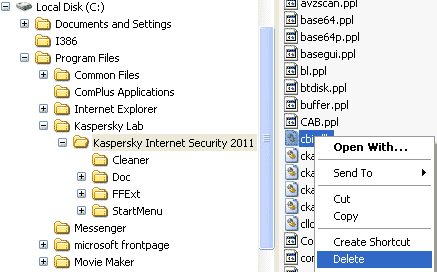 On Windows Explorer, browse to \Program Files\Kaspersky Lab\Kasperky Internet Security 2011 folder. Copy the cbi.dll from Kaspersky Security Suite CBE 11 into the folder to replace the deleted cbi.dll. When the hack is done, click on No button to continue the installation process. 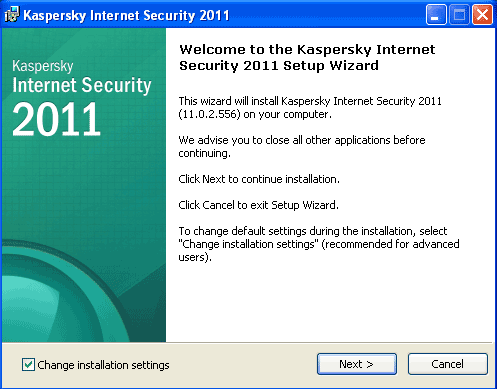 After installation is completed, a Kaspersky Internet Security Configuration Wizard will open. Select radio button of Activate commercial version, and enter the activation serial code received for Kaspersky Security Suite CBE 11, and click Next. Activation should complete successfully, with license type as commercial which valid for 3 computers (yes, you can install on 2 more computers). Note that the 3 months subscription period is not counted from when the activation been done. Instead, the license key from the free KSS CBE 11 offer has a fixed expiration date which is the same for everyone. You have to go back the Kaspersky Security Suite CBE 11 link above in order to request for a new activation code after expiry date to renew and reactivate the software. Click Next to continue. 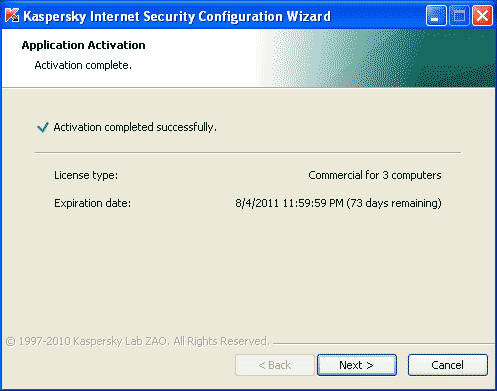 Click Finish button to start running Kaspersky Internet Security 2011, fully licensed and fully activated for free. 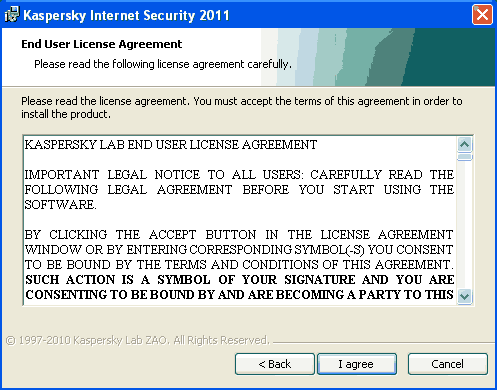 Note that the hack which involves disabling of Self Defense and modify SkinSwitchDisabled and Localization registry key value data to enable Shift + F12 to change language no longer works, as the Kaspersky Security Suite CBE 11 with user interface language other than German will either return license error or request for reinstallation of the program to fix serious issue. 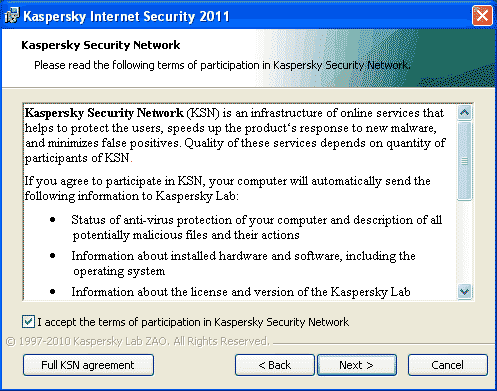 Screenshot of Kaspersky Internet Security 2011 activated with free serial key code from Kaspersky Security Suite CBE 11. Desktop gadget of Kaspersky which is fully working properly.